Many things matter for the employers. Besides your education and experience, they are interested in your motivation, attitude, your goals, your personal traits. They try to get a good grasp of you as a person, understanding who you are, what you like, and if all of that fits their company, and the job you try to get. For some roles (think sales, HR, retail, teaching) your personality is actually more important than your experience in the field, or even your education. For this reason they will ask you some personal questions, questions that are often categorized as screening questions (they do actually form a special sub-category of screening questions). Do they really need to ask personal questions? 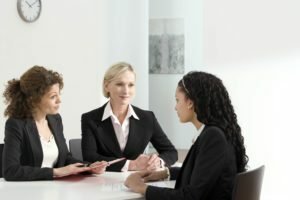 A skilled HR manager should tell your personal traits, and strengths and weaknesses, from the way you walk, talk, look at them, and answer any questions or tests in an interview. And they should do it with great precision. The real HR professionals do not need to inquire about your personality. They will simply understand what they need to know, after talking to you for five or ten minutes. But we should not forget that not all interviewers are skilled in what they do. Think about a CEO of a small business–perhaps leading their first ever job interview, or a person who is just starting in human resources. Or perhaps a recruiter who has chosen a wrong job, someone who was not gifted with emotional intelligence and truly struggles with assessing someone’s personality. For all these people (and a chance that you will meet one of them in an interview is good enough to count with it happening), your answers to personal questions are truly helpful, and make sense. Let’s have a look at the common questions, and how you should answer them. How do you motivate yourself in the job? (The key is to show them that you understand how your job relates to your goals, in both personal and private life. You can simply say that the things you want to achieve (or buy for you, or for your family members), or the bills you have to pay each month, help you to stay motivated and work hard every day. You will find multiple great answer to these questions in our viral article dedicated to 15 most common interview questions. Alternatively, if you are a detail-oriented person, and would like to see an in-depth analysis of each question, you can have a look at in-detail section of Interview Penguin. Thank you for reading, we wish you good luck in your interview!